Remo album roams free, uncaring and loaded with absolute fun. 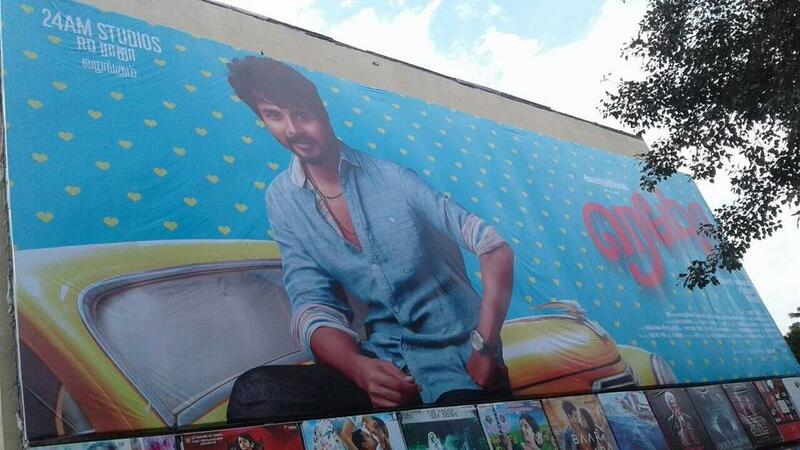 Siva Karthikeyan gets, again, few lines for himself in his latest movie album too. With Anirudh as the music compositor, the hit combo proposes seven songs quite rich in its flavour but often jumps too many times killing its own rythm. For instance, the song "Tamizh Selvi", does make the knees move up and down initially, until the trap or trip or whatever they call that annoying sound, pitches in. Then the song becomes like a bunch of centipedes partying in the ears. Another pair of songs, "Meesa Beauty" & "Remo Nee Kadhalan" abide close to the theme of the movie, where the rythms are catchy. 'Remo Nee Kadhalan' goes on high to reach the peak - keyla irundhu mela yeri vandhuttaaney - whereas, the former stays grounded rolling itself on the dance floor with humour. Poovinam Maanaadu Poodum Vandugal Sangeedham Paadum. "Come Closer", the english language lyrical version to "Sirikadhey" enlarges once again the likeness of Anirudh towards the group Breaking Benjamin, where he constantly imitates Benjamin Burnley. Sticking the tip close to the vocal microphone, Anirudh once again reproduces Dairy of Jane 'Tanglish' version(s). "Senjitaley" behaves as a remix of vintage Qawwali, and the song is nicely produced. The last one that I remember which was extremely loveable under such 'tickling' genre was by ARR in the film Mr. Romeo (1996) - "Mona Lisa". Ofcoarse, the very originals of Qawwali are present in Rockstar , ARR is such an amazement in this, year 2011 release hindi film song album. In Remo, the song Senjitaley has a shake here and a shake there with an awesome chorus that turns it into total entertainment. 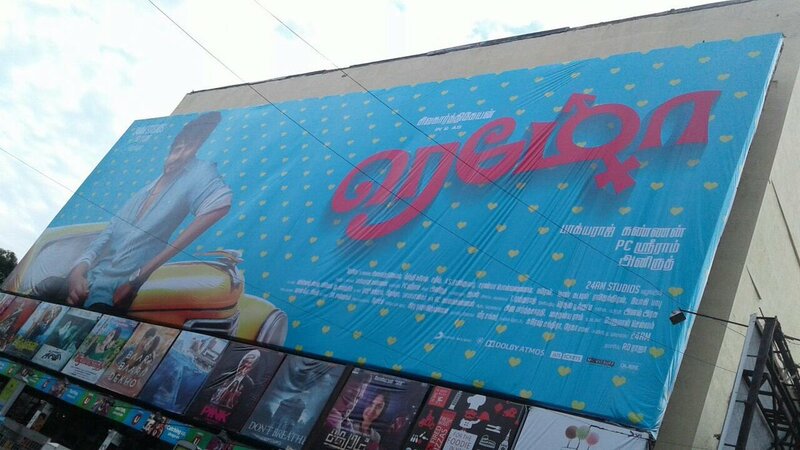 Remo OST is a childlike album that surfs on the waves of a hit combo. Last edited by mappi; 1st October 2016 at 04:38 PM. Appreciations to Mohan Raja for keeping the firstlook poster of his new film titled 'Vellaikaran' starring Siva Karthikeyan, simple. Publicing the movie with images of 'Gods behind Bars', I mean, picture of goddess/god designed inside a barcode, optically read as a finished product from the workers den, Mohan Raja punctuated the sense to the title of his new film Vellaikaran. By the announcement using a wall hanging daily calender with a picture of Lord Murugan printed on it, he informed the hero of his film. The choice of the goddess used in the promos also points to the welfare of the working class. 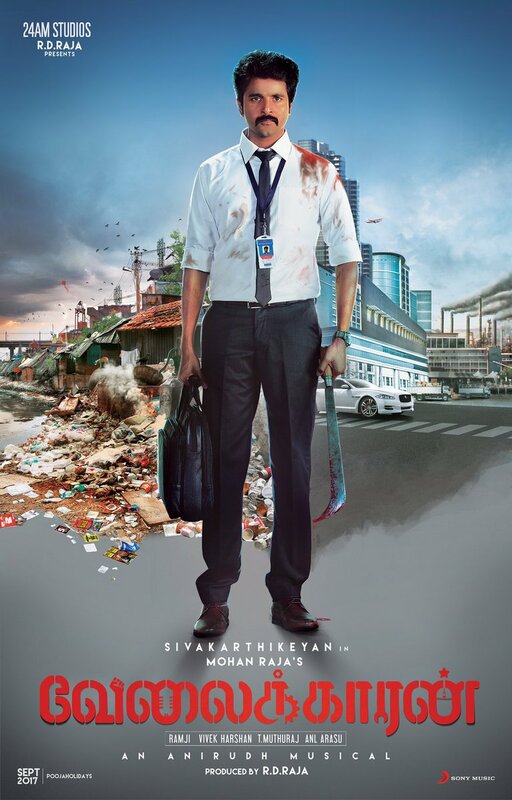 Soon after such peculiar promos, the production house 24AM Studios published the First Look of the film which sees the protoganist facing the audience carrying contrast items in his hands, which does not match with his formal dress code that includes a skinny tie around a white collar [white collar - another symbol to identify the opposite of the working class, red collar]. The dissimilarities continues in the backdrop too, where the scenary is sperated into dissimilitude parts of a society. Apart from being simple, the way they have projected the backdrop without any extravagant effects in Vellaikaran First Look poster, provides a natural look to the poster. Both hands of the soceity is presented under the same blue sky, that speaks reality [birds versus aeroplane]. At the corners, one hand pollutes and the other hand sinks along with the setting sun. The way they have brought the contradistinction inside the poster is remarkable. The breadless Siva Karthikeyan, with a thick mustache walling beside his lips, appears neat, staring directly at the viewers and passing his temperament. Potraying the stain of blood on the shoulder that carries the building and the blood split over the floor of the concrete jungle are a nice touch to the First Look. But the distinctive shades around the poster does not work towards the First Look, making it look like a publicity to sell an urgently developed raster graphics editor program. Also, the little diagrams provided in the title font are crowded, personally, I felt it to serve as an abstraction. All the very best to the moving making team. Last edited by mappi; 7th June 2017 at 03:00 PM.